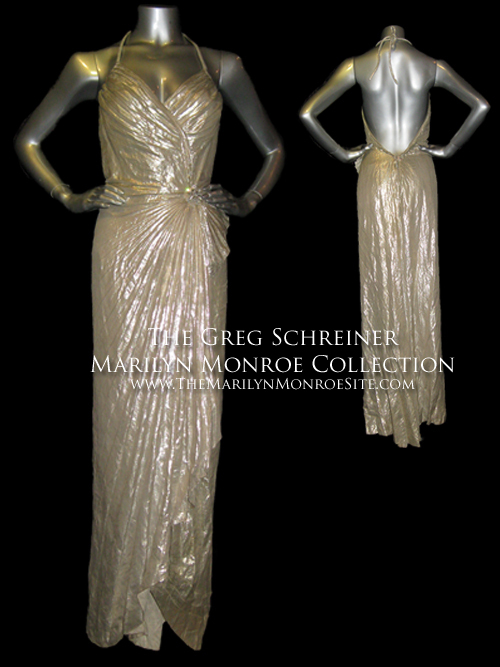 Perhaps one of her most famous costumes, a beautiful silver evening gown designed by Oscar winning costume designer William “Billy” Travilla for “Gentlemen Prefer Blondes.” Ultimately, scenes of Marilyn wearing this gown were cut from the final film. 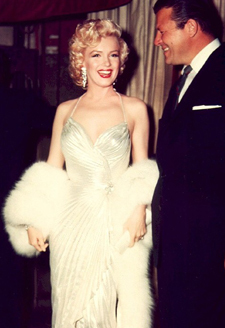 However, Marilyn wore this gown to multiple public events, including the Los Angeles Herald-Examiner Charity Event, held at the Shrine Auditorium on December 4, 1953. 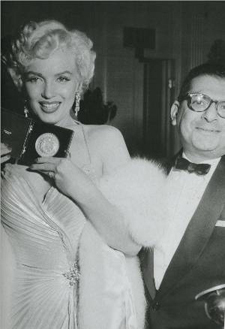 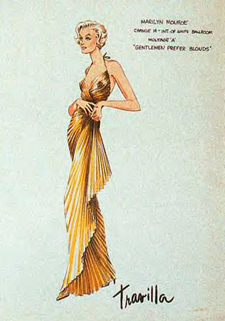 Marilyn also wore this dress to accept her Photoplay award in 1954.